Entrepreneurs discuss passion for burritos, the environment and social justice. Last Saturday, Grand Rapids had new food options available for the late-night crowd. Several entrepreneurs, Dallas McCulloch, Brandon Hill, Lindsay Sanderson and Ryan Cappalletti set out to transform Bartertown Diner into Burritotown Diner. “We worked in many different restaurants over the years, but wanted to create something different. So many restaurants waste food or have an abundance of food. We want to use all ingredients and waste nothing,” they explained. “It’s not just about convenience, it’s about doing something good. It’s about providing something healthy,” Hill explained. “This comes from things we wish existed over the years we could never find. So we created it,” McCulloch elaborated. Justice motivates both Hill and McCulloch. “We’re buddies with our farmers: Charlie Ham of Ham's Family Farm, CJ's Veggies and Mud Lake Greens. We also have two dollar tacos. We don’t want to outprice anybody,” they said. Many green businesses in the Grand Rapids region are expensive, they said, and menu items can be difficult to afford. 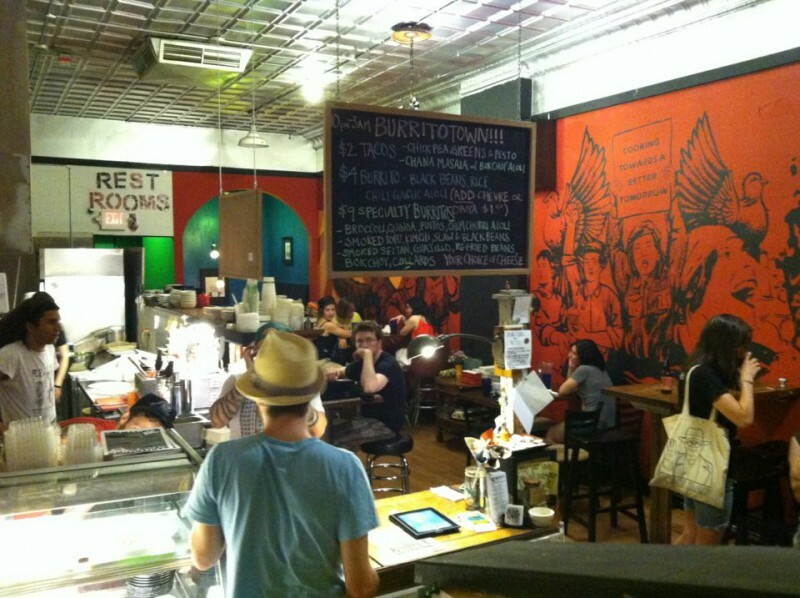 Burritotown has a diverse price menu that ranges from two to nine dollars. “We have tactics we’re going to stand by,” McCulloch stated. Two dollar tacos, four dollar burritos, and nine dollar speciality burritos were available. "I think I'm going to go ahead and say that that was the best burrito I have consumed in my lifetime," says Grand Rapidian, Trevor Ditmar, who attended Saturday night. “[My concern for the environment] came from my background. I grew up in the sticks. We had maple trees and picked strawberries. I caught frogs. I always had respect for nature,” McCullogh explained. In fact, both McCulloch and Hill are vegans – (practicing 10 years and seven years respectively). “I never really cared at first, but then my musician friends started getting into alternative cultures and sharing ideas with me. Then I saw the film Earthlings and began to seek more information on humanitarian and animal rights issues,” Hill stated. McCulloch and Hill shared their desire to provide food for more people once the diner opens up full-time on July 6. “This will be a celebration of George W. Bush’s 66th birthday and the launch of Burritotown Diner," McCulloch explained. 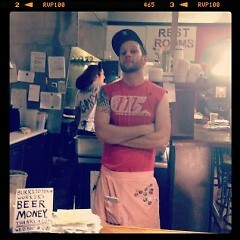 The diner will be open Wednesday through Saturday nights from 10 p.m. to 3 a.m. and is a worker-run collective. They source food locally and compost or recycle 99% of any waste acquired. 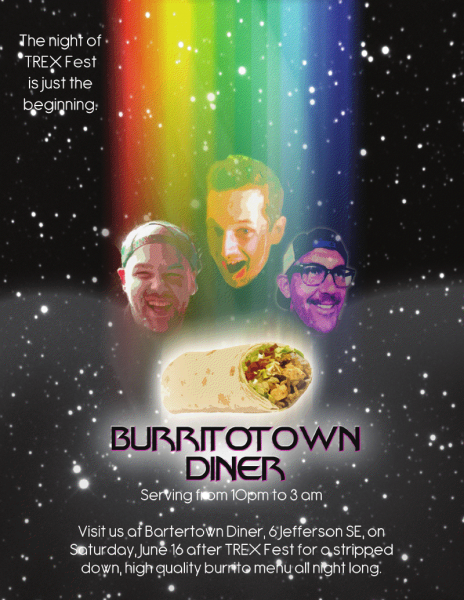 Burritotown Diner is located at 6 Jefferson Avenue SE near Fulton Street.